My Series Sunday pick is Live Wire, the tenth book in the Myron Bolitar series by Harlan Coben. Former tennis star Suzze T and her rock star husband Lex are expecting a baby. An anonymous Facebook post makes Lex run off. Suzze T asks old friend Myron to find Lex and bring her husband home. Of course, Myron sets out on a mission to find the missing Lex, but he also finds his estranged sister-in-law, Kitty. But where is his brother? The couple is usually joined at the hip, so Myron knows something is wrong. Now that Myron's father is in the hospital, it is urgent that Myron finds his missing brother soon, or he'll have to tell one more lie. Coben is a master at the hook-and-twist. But Live Wire? Oh my goodness. It was very well written and gripping. I couldn't turn the e-pages fast enough. I learned so much more about the main character Myron. We also meet his nephew, Mickey, who stars in his own YA series. Of course, best friend and business partner Esperanza and savvy Win. I must say, Live Wire, defines Myron as a character. 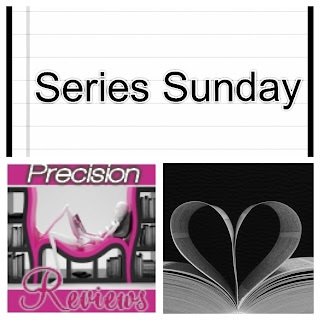 All of qualities and personality traits are expressed best in this installment of the series. I appreciate Harlan Coben's writing. It takes talent and discipline to keep a series interesting for 15+ years. It takes a special author to create a character that readers love and are invested in. Myron Bolitar is a friend in my head. He may be emotional, sensitive, and smart-assed, but he's also a protector with everyone's best interests in mind. He'll save those he cares about, even putting his own life at risk. Myron is a guy with a big heart that you can't help but adore. He's a character I don't want to see go away any time soon. 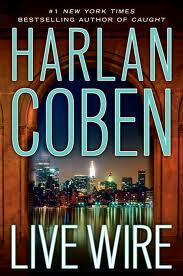 More Myron please, Mr. Coben! Check out the video below of the Live Wire book trailer.